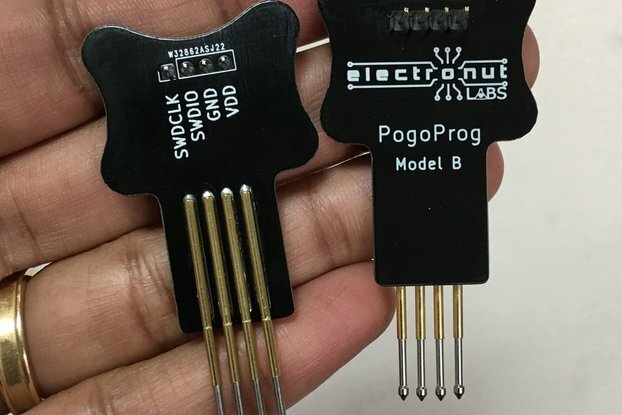 2x3 header pin <---> spring loaded pogo pins. 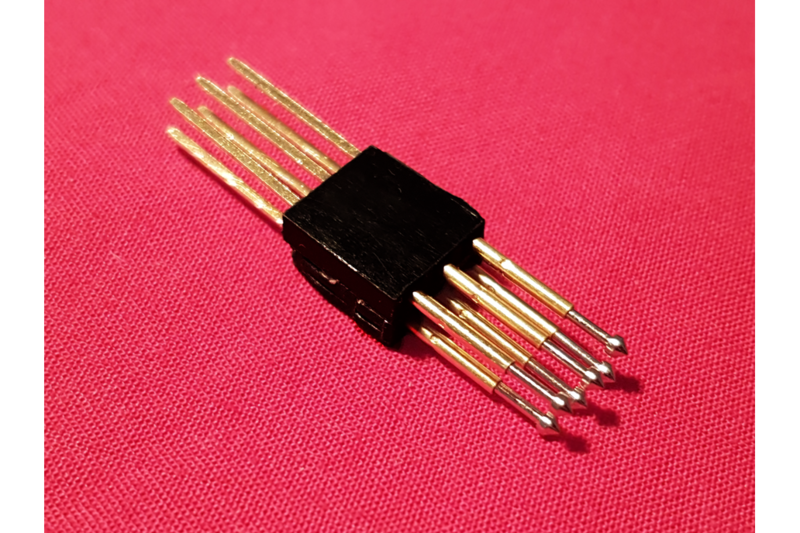 It is used to program AVR Atmel ATmega, ATTiny microcontrollers. 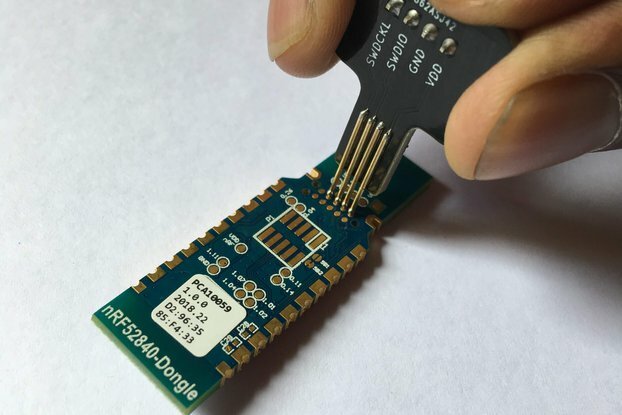 Program any Atmel device without bootloader needed. 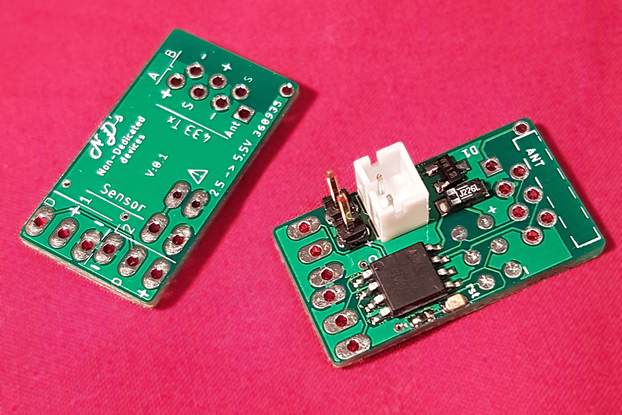 You can program both through hole and ICSP pads. It is a cheap but strong assembly. 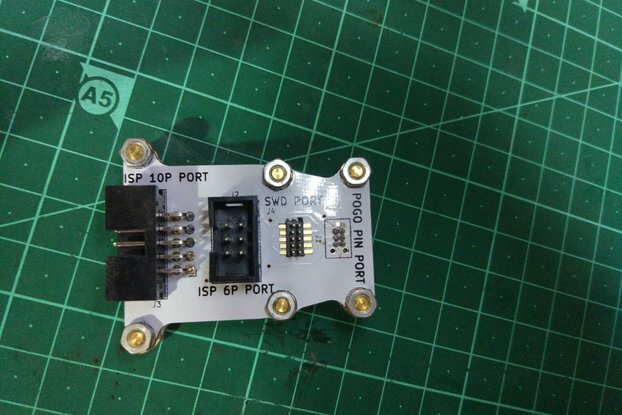 You can easily adapt it on ICSP connector. 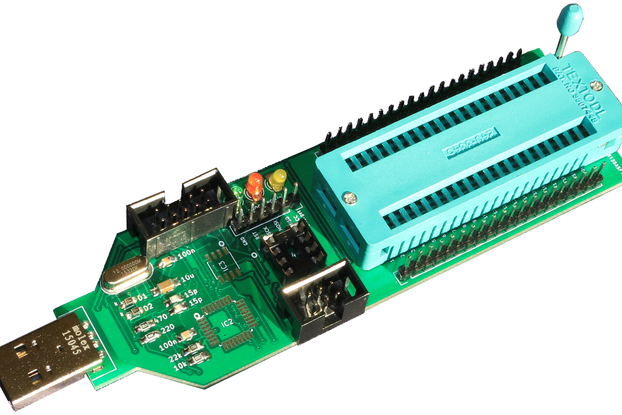 It's compatible with Atmel ICE Basic (~100$), or USBasp programmers (~2$). 2.54mm pitch. 1mm conic head.